All of the festivals are infused with special traditions which proclaim the richness of all HaShem has been doing amongst His people over many generations. Sukkot is a season of special celebration. Each mo'ed is a time when we are invited by the Creator of all to draw aside in close communion with Him. They are days when we are summoned to reflect on the lessons of the past and to renew ourselves, in nearness to Him, for the days that lie ahead. Each season has unique, special memories and its own particular meaning and character. Sukkot is named 'Season of our Joy' and the central symbol of the season is the sukkah, built to remind us of the temporary dwellings that our forefathers lived in as they traveled through the wilderness after God brought them out of slavery in Egypt. We see another reference to the sukkah and the celebration of Sukkot in Nehemiah 8:17, "And all the congregation who returned from captivity made sukkot (booths, tabernacles) and dwelt in the sukkot... and there was great rejoicing." 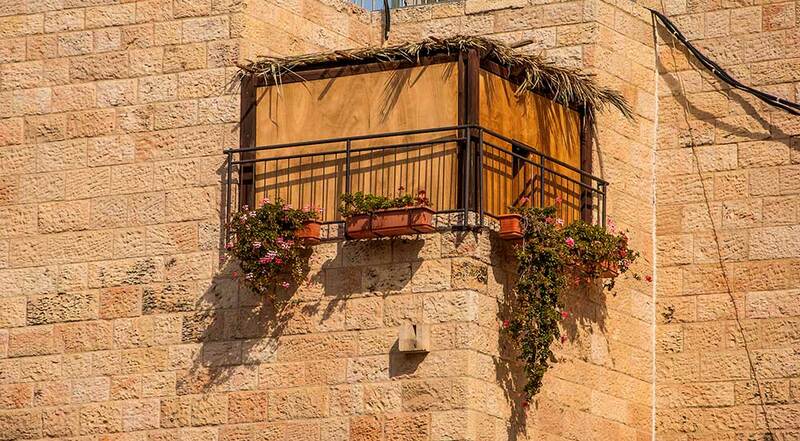 Even in the face of the difficult task of rebuilding the walls of Jerusalem, while encountering hindrance and hostility from the enemy in their midst, the Israelites could greatly rejoice in their sukkot. How could these flimsy constructions cause them to rejoice? They remembered that, just as in the wilderness, the Presence of God was their strength. 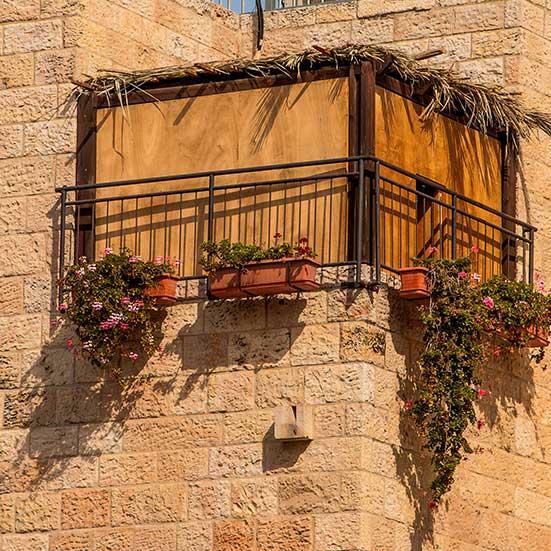 By His Word and command, the open, fragile sukkah becomes a refuge, a fortress protecting us from every enemy. An important aspect of the temporary nature of the tent homes in the wilderness is that they were portable and not designed to remain in one place indefinitely. The sons of Israel would stay encamped around the Mishkan (Tabernacle) as long as the cloud indicating God's presence was above it. When the cloud moved, they moved (Numbers 9:22). The cloud depicted, as it were, the Shepherd's staff. It was the means whereby Adonai made His will known to His people—ndicating when to move, and in which direction, and when and where to set up camp. What a lesson for us, for all time, to follow our Shepherd's guidance with full devotion and trust. No matter that the reasons may not be clear, nor the direction certain, we can happily move with courage into unknown paths according to the prompting of our faithful Shepherd, or remain in our place—no matter how unfavorable—if He so wills. Happily we can say, "Ready to go. Ready to stay. Ready to do Your will." Every prolonged stop in the wilderness kept the Israelites away from their final destination. This knowledge, together with the inhospitable conditions, was no doubt cause for great discontent and impatience. Herein lay the training, however, the developing of quiet, trusting patience—the ability to rest confidently in the knowledge that He Who guides us is a Shepherd we can trust! Leaving the security of one's home to sit or to dwell in the sukkah during the week of Sukkot is, in a sense, an action to indicate that one is prepared to forego, at any time, the shelter and defense occasioned by the powers of man, and, if God so wills, to move in faith even into the wilderness—there to trust alone in the care and protection of Adonai. Some commentators say that the term 'sukkot' (booths/tabernacles) refers figuratively to miraculous "clouds of glory" (ananei hakavod, ענני הכבוד) the clouds of God's presence and protection, that surrounded and protected the Israelites as they journeyed through the wilderness. Rashi comments: "In connection with the journeys of Israel, the Torah mentions the cloud seven times, to allude to the seven separate clouds that accompanied them. Four protected the camp in four directions, one hovered above, one cushioned their feet against the hot, sometimes rocky, desert floor [Is this why their feet didn't swell and their shoes didn't wear out? ], and the seventh went ahead of them to ease their way by leveling mountains and filling in depressions. "1 What an illustration of Elohim's total, all encompassing, loving care of His people! As we sit and eat, or study and meditate in our 'shaky' sukkah, let us remember that we live and work in God's world, under the shadow and protection of His wings; and we are surrounded by the wonders of His creation and provision. This realization should cause us to exclaim, "You have given me joy in Your work, O God; I will exult in the work of Your hands" (Psalm 92:4). The joy of Sukkot is not a superficial joy, the source of which is materialistic and physical. It is not a joy that is easily perverted, which, even as the body rejoices, causes the soul to weep. The joy of Sukkot is the true "joy from above"—an inner joy, saturated with the dew of holiness, and filled with the sublime anticipation of the world to come. When this joy engulfs us, and the Shechinah surrounds us like clouds of glory, we are permitted a taste of the joyful permanence of eternal unity with the Creator of all. A busy market in Jerusalem where the four species (arba'ah minim) are purchased in preparation for the holiday of Sukkot. The Four Species, or as it is referred to in Hebrew, Arba'ah Minim, are key to many interesting imagery that can help us understand ourselves and others around us and be drawn together in unity. The four species are, the lulav, the etrog, the hadas and the aravah. Let's take a closer look. In the Mishnah, lulav is a term applied to all trees, literally "a shoot or a young branch of a tree." Its use today is particularly confined to the palm branch, one of the four species mentioned in the Torah. One of the other species is also given explicitly, namely the "willows of the brook," this is the aravah. The "fruit of a beautiful tree" (pri etz hadar—פרי עץ הדר) has traditionally been accepted as the etrog, a citron, because the taste of the wood and the fruit is identical. The "boughs of leafy trees" (anaf etz avot—ענף עץ עבות) literally, a branch of a plaited tree, is considered to be from the myrtle or hadas, a tree in which the leaves grow closely together like braids. During the days of Yeshua, these four species were used in the ceremonies that took place in the Temple. They were waved in a prescribed manner, in six directions, at various times, in acknowledgement of God's rule over everything in nature. The Tanach does not explain the symbolism of the four species. According to Maimonides, it is likely that these four species were chosen to symbolize Israel's emergence from the wilderness into the land of plenty. They were easily obtainable in Israel. Over time, because of their long and loved association with Sukkot, they have been assigned many thought provoking spiritual meanings. All of the festivals are infused with special traditions which proclaim the richness of all HaShem has been doing amongst His people over many generations. Learning about these traditions can add to our understanding and our faith, and help us develop into the fullness of Mashiach. The four species, noticeably different from each other, represent four different types of Jews, each possessing different character traits of virtue and weakness, which, in turn, represent the nation of Israel, the people of the living Elohim, as a whole. As the four species are tightly held together and waved in rejoicing before Hashem, we are reminded that, not only do we stand before Him individually, but as a united whole—one people, one nation. The strengths and weaknesses of each person are perfectly compensated for when we stand together. The etrog (citron) is well known for its good taste and its fragrance. It can represent a person who has attained wisdom and faith through the study of Torah and fulfills his study of the Torah by the doing of good deeds. This reminds me of the characteristics of the holy ones, mentioned in the book of Revelation, who both keep the commandments of God, and have the faith of Yeshua, (14:12). The etrog resembles the shape of the heart, the driving force behind all our actions. The hadas (myrtle) has a pleasant fragrance but it is inedible, with no taste, and can represent the person who does good deeds without the knowledge of Torah. The almond shaped leaves resemble the eyes. This can also describe a person who sees the needs of others and does something about it, without prior knowledge of the Torah. The aravah (willow) possesses neither taste nor any fragrance, and is likened to the person who neither studies Torah nor does any good deeds. The leaf of the willow, shaped like the mouth, could portray the one whose faith exists only in word, but not in deed. Finally, the lulav, from a tree which produces tasty fruit, represents those with a secure knowledge of Torah. The lulav, an unopened palm branch, strong and rigid, resembles the spine which holds the entire body together. Let us be reminded, in fulfilling this commandment, that no individual can attain the fullness of Mashiach, to which we have been called, on his own. Unless a person is willing to go beyond himself and join together with others, he will undoubtedly weaken in faith. Take for example the etrog, although it possesses both the taste and fragrance explained above, it cannot be used alone in fulfilling this commandment of rejoicing before God. No matter how much we develop ourselves, we cannot reach our true potential without the input of others in our lives. The unity of Israel as a whole is an indispensable ingredient in the growth of individuals within that body of people. It is written in the Mishnah, Avot 4:1, "Who is wise?—One who learns from every man." Yeshua often stressed the importance of our relationship with one another, and the unity which we should have, and in which we need to grow continually. The four species can also represent, as already outlined above, four distinct parts of our body. The heart, seat of our emotions, is found in the etrog. The hadas represents the eyes, the lulav our spine from which our actions emanate, and the aravah, our lips or whatever proceeds from our mouths. Our joy and happiness as individuals depend on the unity we have within ourselves. As individuals we need to bring our emotions, our actions, our speech and our outlook on life together in harmony with the Ruach HaKodesh. Finally, it has also been suggested that the Four Species represent the four letters of the Name of God, י-ה-ו-ה. The key here is the Unity/Oneness of Elohim. This is specifically emphasized in the Shema when we pray, "...HaShem is our Elohim, HaShem is One." If we attain perfection within ourselves, reach complete peace with all those around us, yet forget the Oneness of Hashem, we have missed the mark. Only if we relate all of this to Him, our Creator, can we truly reach the goal of a perfect society. 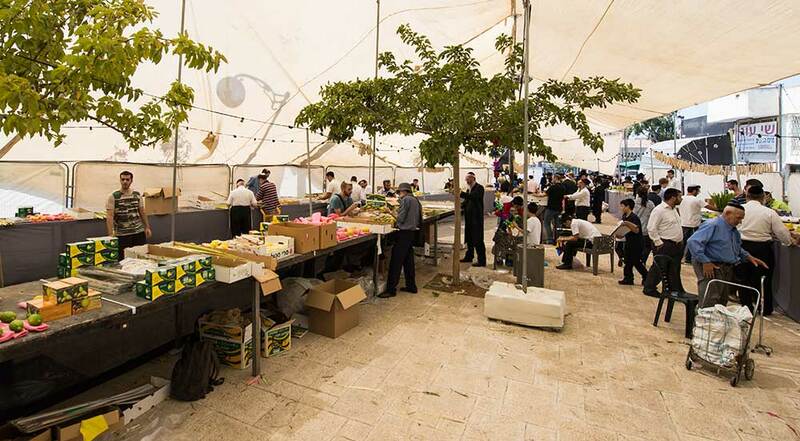 Although Sh'mini Atzeret and Simchat Torah are separate festivals from Sukkot, it is often considered as a continuance of the rejoicing that is associated with Sukkot. You may consider Sh'mini Atzeret as being a special invitation from God to extend your celebrations with Him for one extra day. It is observed as a day on which no work is to be done. In Israel Sh'mini Atzeret, the Eighth day of Assembly, is celebrated on the same day as Simchat Torah. During Temple times in Jerusalem, a total of 70 bulls were offered during the festival of Sukkot. According to the Talmud this refers to the 70 nations in the world. When Solomon dedicated the Temple in Jerusalem, he specifically requested of God that the prayers of the foreigners who seek Him will be heard, so that the God of Israel will eventually become the God of all the peoples of the earth, (1 Kings 8:41-43). On this special Eighth Day, only ONE bull is offered. It is said that this represents the Jewish People. We may also further project that this could represent the unity of all the nations, with Israel, who have learned to love the Elohim of Israel, to serve and obey Him, and have indeed become one with His people, and have acknowledged Him as their only King, alongside Israel. In this context Sh'mini Atzeret may represent the end of the age, the end of Mashiach's reign on earth, when all peoples have accepted the yoke of God's kingdom, a time that is described in the book of Revelation as, "Behold, the tabernacle of God is with men, and He shall dwell with them, and they shall be His peoples, and God Himself shall be with them, and be their God" (21:3). Simchat Torah literally means, "Rejoicing of the Torah." Simchat Torah is the day that both ends and begins the annual reading cycle of the Torah. The concluding portion from Devarim (Deuteronomy) is read, as well as the opening portion of B'reisheet (Genesis), a time that is marked by joyous celebration and dancing with closed Torah Scrolls. This custom of both finishing and restarting the reading of the Torah is explained by the Sages as showing just how much we love and appreciate the Torah; that its reading is never complete, like a book that has been read from cover to cover. It is indeed like a brand new book that is opened for the first time. On Simchat Torah, all the scrolls are removed from the ark and, as on Hoshanna Rabbah, the 7th day of Sukkot, the congregation parades around the synagogue seven times. Many people have the privilege of carrying the scrolls, accompanied by children with flags, with much rejoicing, dancing and singing. Unlike the rest of the year when the Torah can be studied intensively, on this day the approach to Torah is obviously different. This can be explained by the fact that one dimension of the Torah, the living words of God, can be grasped by our natural minds, yet another dimension is beyond human comprehension and can only be understood in the sphere of emunah, faith. Just as God is infinite, transcending all bounds and limitations, so too is the Torah. The intellectual aspect of the Torah is important, but it does not define its essence. It is with rejoicing and an expression of enthusiasm for the living words of God that we can come closer to this deeper understanding of Torah. Essentially, Hashem and the Torah are one, as He and His word are one. For this reason we have the stern warning not to add to it, or take away from it. (Deuteronomy 4:2; 12:32). Torah is the foundation of God's dealings with His people. In Torah we find unity and agreement concerning what He has given us and what He requires from us. There is every reason to believe that our acceptance of Torah, and our uplifting it, and submitting to its commands, would increase our understanding of who Yeshua was and who He is as the Messiah. Yeshua upheld and lived the Torah, and as believers in Him do the same, they will discover the fullness and richness of these living words. Rabbi Nosson Scherman, Stone Edition Chumash, Mesorah Publications, Ltd., New York, 1994, p. 787. Adapted from: First Fruits of Zion, Bikurei Tziyon #66, written by Keren Golan Pryor.